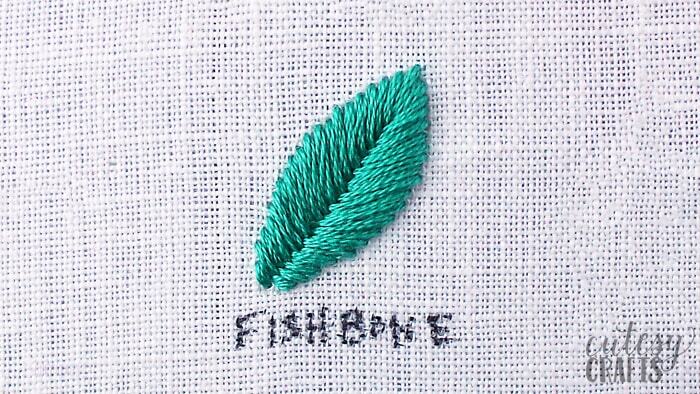 The fishbone stitch is a great stitch to embroider leaves. The stitches alternate coming from the left and right just like a fishbone, and that’s where this stitch got its name. 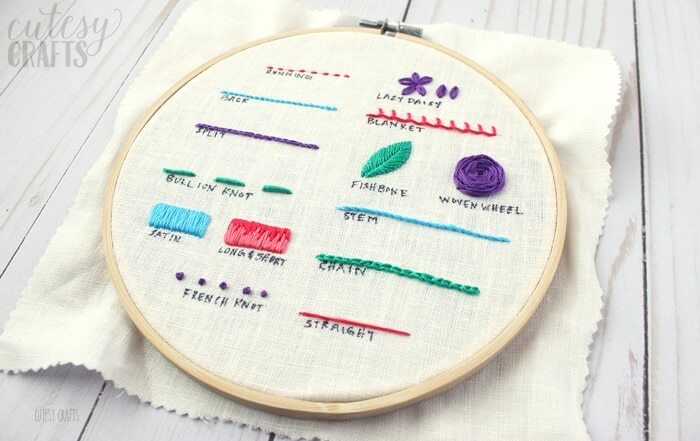 It’s my favorite way to stitch leaves, and one that every embroidery artist should learn. The fishbone stitch will definitely take some practice before you get it right. 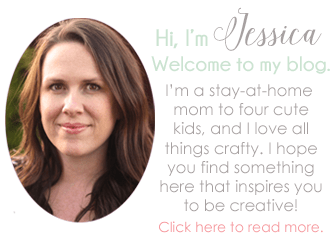 The great thing about embroidery is that you can always take out your stitches! Follow my video tutorial below or head over to my YouTube channel to see how to work the fishbone stitch to embroider leaves.